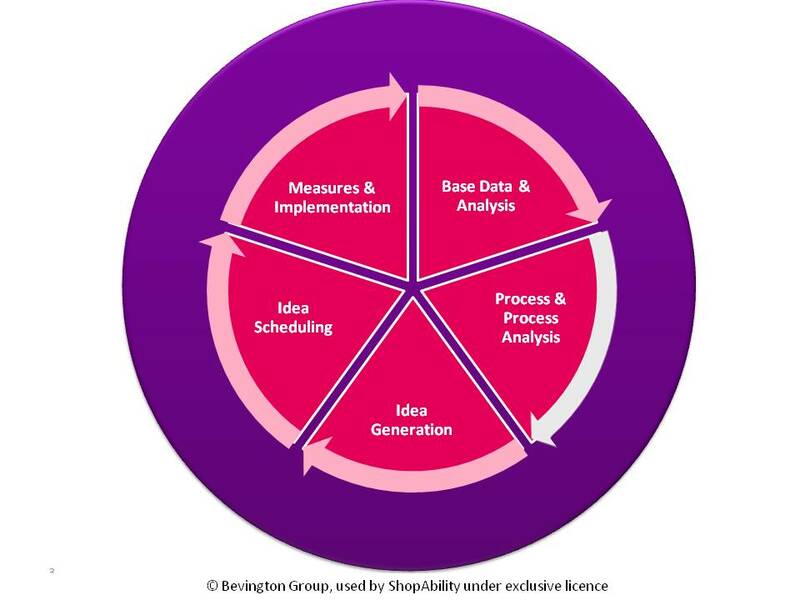 ShopAbility has partnered with the Bevington Group, Austalia’s most experienced process and productivity improvement specialists by exclusively licensing their patented technology and expertise for use in the Retail and FMCG sector. Data is collected to the right level where problems are evident – not at the higher level of what ‘should’ happen or at the lower level of ‘keystroke’ procedures. We prioritise solutions based on the numbers. We have the industrial strength methods that allow the effort costs of waste to be identified and addressed. Effective connections between activities, roles and structure allow changes to be explained and measured at the role level. Staff who have been involved in defining the process and solutions are more inclined to implement them than if solutions are simply adopted from outside. “Momentum Methods” offer a staged approach to change that deliver immediate improvement (quick wins) as the first part of a longer journey. Quick wins are a key motivator for any change initiative. Together, ShopAbility and the Bevington Group offer unparalleled expertise and technology to enable positive structure and process change for Retail and FMCG companies.